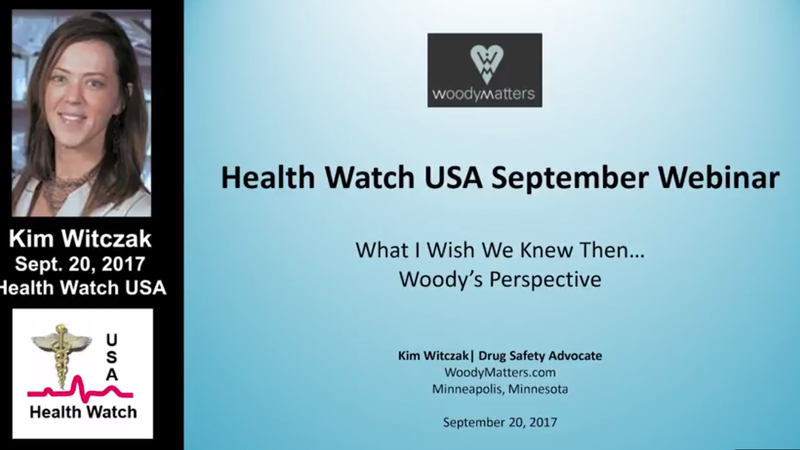 MISSD advisor and national drug safety advocate Kim Witczak recently presented on medication safety. Watch the full video here. 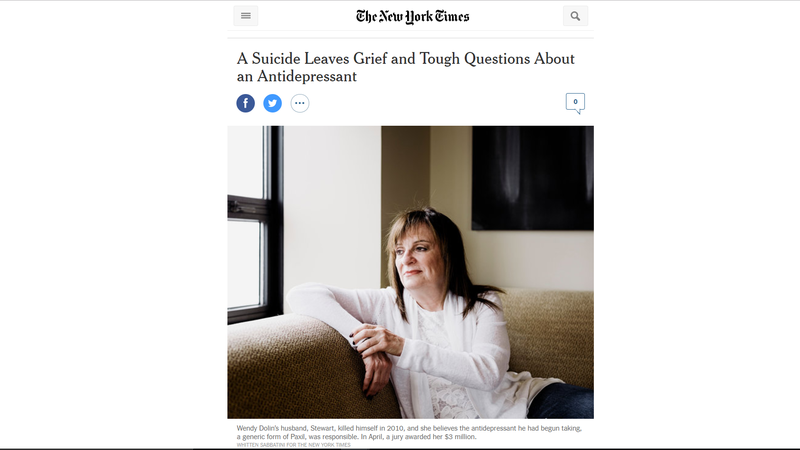 325 million prescriptions for antidepressants were filled last year in the US, according to this recent NY Times article featuring our founder Wendy Dolin. That’s why it’s so important we continue to spread out mission of raising awareness about the possibility of developing akathisia. The condition has been getting national and international press, and Wendy’s amazing trial win only increased the much-needed press around this current issue. Read on for more details and information about what made this case so compelling, so urgent and so unique. Read the full article here. And read more information about suicide data being incorrectly reported in the drug trials here.